A Chemist Accidentally Creates A New Blue. Then What? In 2009, a chemist and his students stumbled across a blue pigment that had never before been seen. Now that it's been licensed for commercial use, you may start seeing it everywhere. Mas Subramanian wasn't expecting blue. Subramanian knew immediately it was a big deal. "People have been looking for a good, durable blue color for a couple of centuries," he says. Before getting into why this blue was so special, let's talk for a moment about light and metal. "Color is a part of a spectrum, so you can't discover a color," Subramanian says. "You can only discover a material that is a particular color." 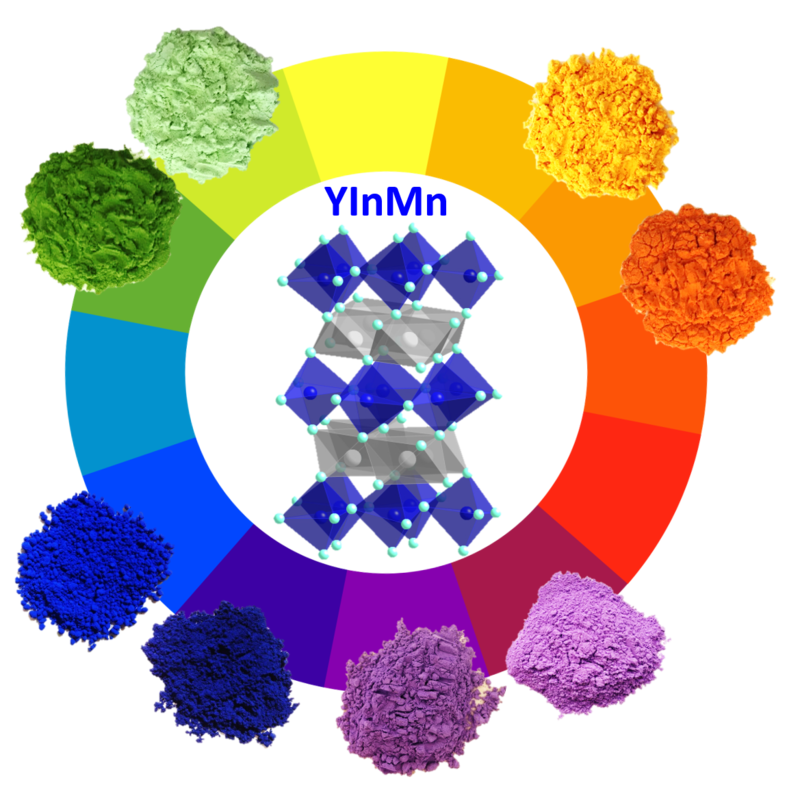 In this case the material — "YInMn blue," named after its chemical makeup of yttrium, indium and manganese oxides — absorbed red and green wavelengths and reflected blue wavelengths in such a way that it came off looking a very bright blue. 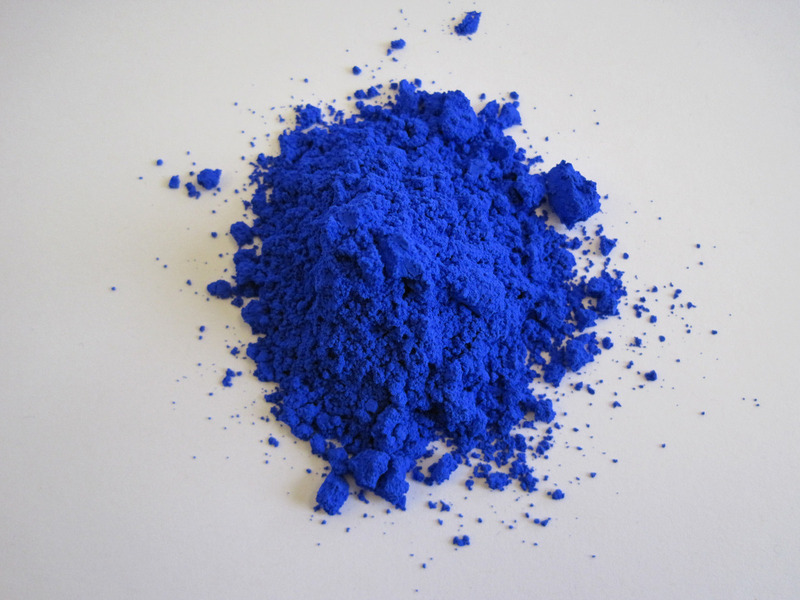 Now, this particular blue is considered a "complex inorganic pigment." According to Geoffrey Peake, R&D manager at The Shepherd Color Co., that means it's not a naturally occurring pigment (such as ultramarine, which comes from the rock lapis lazuli). Rather, it derives from a mix of various metal oxides — a metal element combined with oxygen. "In our systems, blue is one of the most highly requested color families," says Brooks Tippett, vice president of operations at the Pantone color company. The last new complex inorganic blue pigment to be commercially manufactured was cobalt blue — a mix of cobalt and aluminum oxides — in the early 19th century. Cobalt, however, can be toxic if ingested in large quantities, and it doesn't reflect heat particularly well. It fades over time. Those aren't terrible downsides, as colors go. But if a better one happens to fall into their laps? 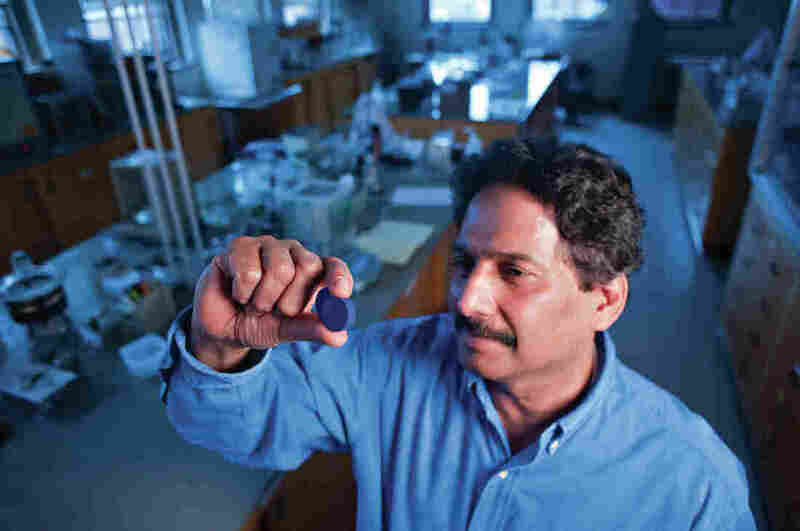 Blue pigment discovered at Mas Subramanian's lab at Oregon State University. "I know from my experience — there will be a potential for commercialization," Subramanian says. Shepherd, unlike a company like Pantone, isn't concerned with fashion, art, or other personal uses. It deals with paints and plastics that are made to be durable, used for outdoor applications like roofing and siding. "It's not like Joe Artist can call us up," Peake says. Shepherd looks for four main things in a new pigment, Peake says: Is it a stronger color than what's already available? Can it withstand elements like weather and heat? Are there cost advantages? And will they encounter any regulatory or environmental issues? The sample order area at The Shepherd Color Co. in Cincinnati, where customers can request samples for their various products. "Immediately they said this was really an exceptional blue, because it reflects heat more than cobalt blue, it's really stable and it's a really great color like lapis lazuli," Subramanian says. Shepherd's tests — turning it into paints and plastics, using it on ceramics and metals — also showed YInMn can endure oil, water and sunlight better than other available blues. Think of this like a record deal. Subramanian's team and OSU wrote and own the tune, but Shepherd will market and distribute it — they'll try to make it a hit. And a new hit in the color industry is a rare thing. "I've been doing this job for 27 years, and maybe worldwide there have been five or six new inorganic pigments that have been commercialized over that time period," Peake says. Not that people aren't always searching for more color. Subramanian's current project includes a search for a better red pigment, which would be in high demand if found. Red tends to come from heavy metals or other toxic substances, like mercury and lead. "Though we do have thousands of colors already, it never fails to surprise us that the No. 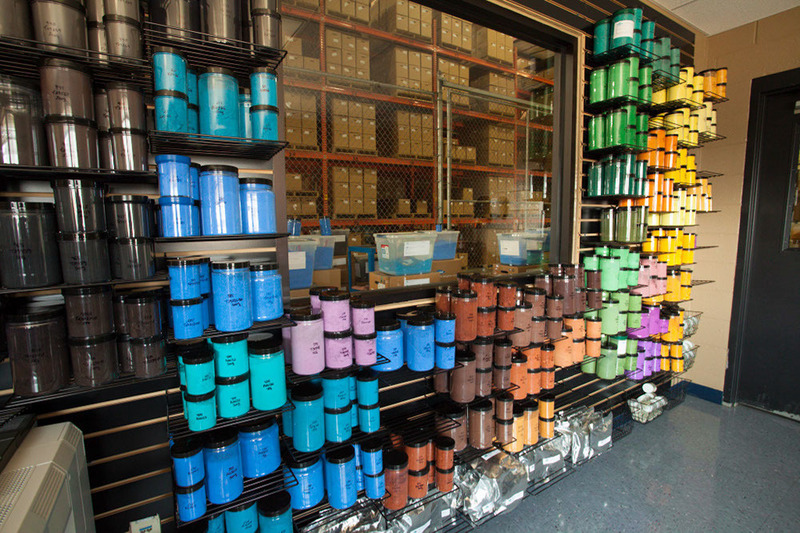 1 request from customers is they want more color," Tippett says. Even though Pantone has yet to license YInMn itself, Tippett says the company is excited about all the possibilities a new pigment will hold. 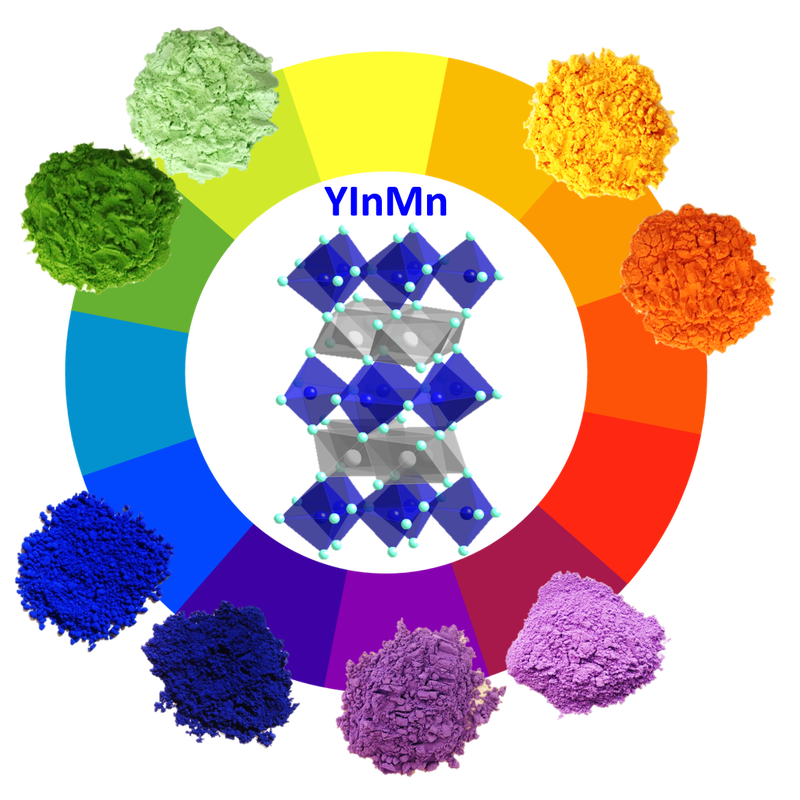 After all, it's not just the one blue that it provides, but a whole spectrum of colors it could be mixed to create. Narayan Khandekar, caretaker of the Forbes Pigment Collection at the Harvard Art Museum, obtained samples of YInMn blue for display and plans to include Subramanian's other creations soon. Khandekar says he looks forward to when these new color possibilities find their ways into the hands of artists. That's when he thinks people will really see the significance of YInMn. "I think generally people take color for granted," Khandekar says. "They walk around without thinking that every color they see — every car, every piece of plastic — has a piece of dye in it that somebody found and figured out how to make. When you put pigments in art, people stop and pay attention to it."